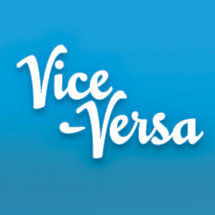 Introducing Vice-Versa, the review journal! We are a part of an intimate literary community here in Hawai‘i, and we’ve been thinking recently about how to make our community stronger and healthier. In our recent experience, we’ve found that there are lots of opportunities to publish, but not so many chances to get our work talked about publicly, with care and critique. Building more dialogue will create more connections between writers, will ask writers to give back to each other, and Vice-Versa will ultimately support other writers, in knowing that their work is being talked about and considered seriously.